Scuff-resistant galvanised steel shelves have a 100 kg capacity. Shelves can be adjusted on a 25mm pitch. Suitable to fit all Bott models with a WxD of 1300x500mm. 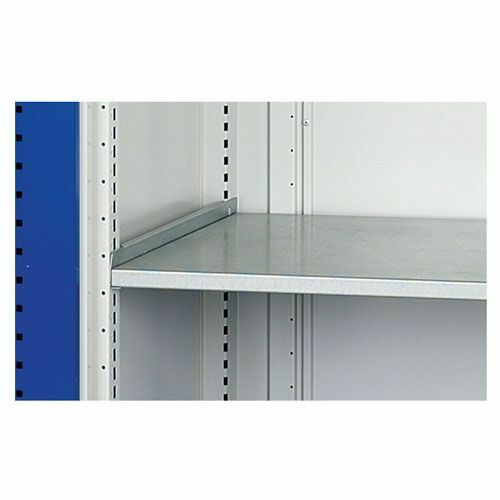 Replace or increase your available shelving space with an additional shelf from Bott.